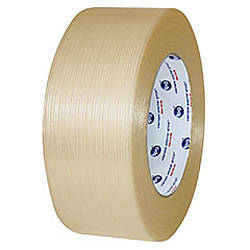 3M 890SMR Polyester Filament Strapping Tape is a high-performance tape reinforced with continuous fiberglass-yarn filaments for very high tensile strength. 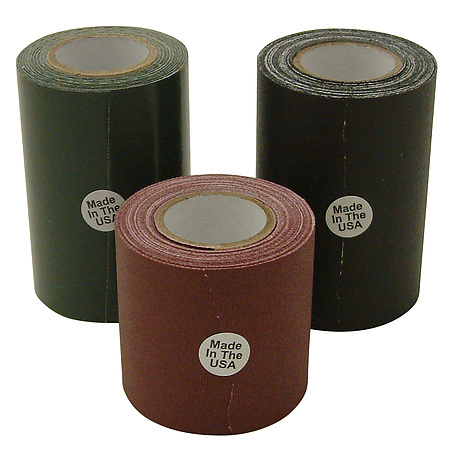 The polyester backing gives you excellent abrasion, moisture and scuff resistance. 3M's adhesive is a modified synthetic rubber resin that combines high adhesion with long term holding power, useful for a variety of metal working applications. 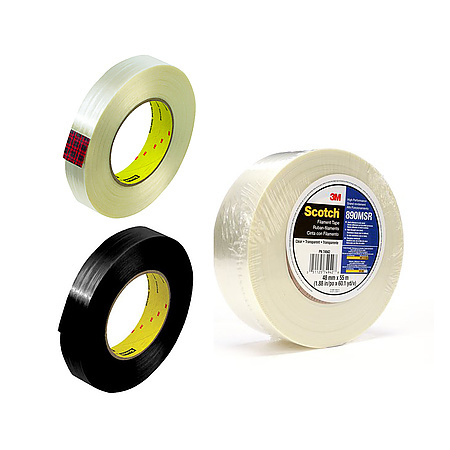 The tape features a modified synthetic rubber resin (MSR) that is specifically formulated for optimum oily metal adhesion, clean removal and stain resistance on a wide variety of surfaces. 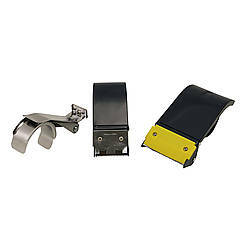 Applications include metal bundling, coil tabbing, high strength reinforcing, and heavy duty strapping. 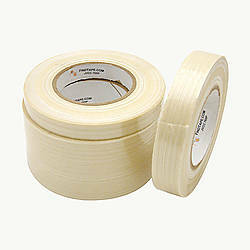 Industrial-strength, filament-reinforced tape resists nicks, abrasion and moisture. Modified synthetic rubber adhesive provides better adhesion than natural rubber adhesives and bonds well to metals and oily surfaces. Glass yarn filaments add strength for pipe wrapping applications. Excellent performance in the roughest shipping and handling conditions (designed to perform when exposed to gas and oil). Customizable and can be printed on with print seal process to provide advertising and warning capabilities. 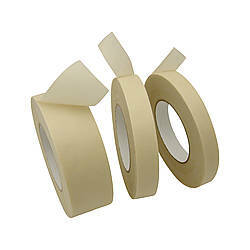 Excellent aging before and after application maximizes tape life. Containing steel bands or wires used for armoring flexible flow lines, risers and umbilicals. Backing and reinforcement for dynamic or static sub-sea applications under tension. 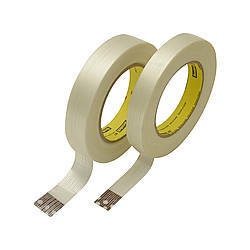 Coil tabbing and metal panel splicing. 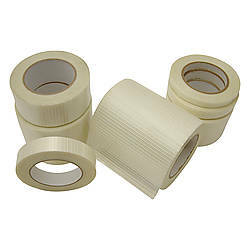 Bundling, reinforcing and strapping applications. Adhesive: modified synthetic rubber resin How are adhesives different?